Ripe melon and peach on the nose, with creamy fruit flavours and a soft dry finish. 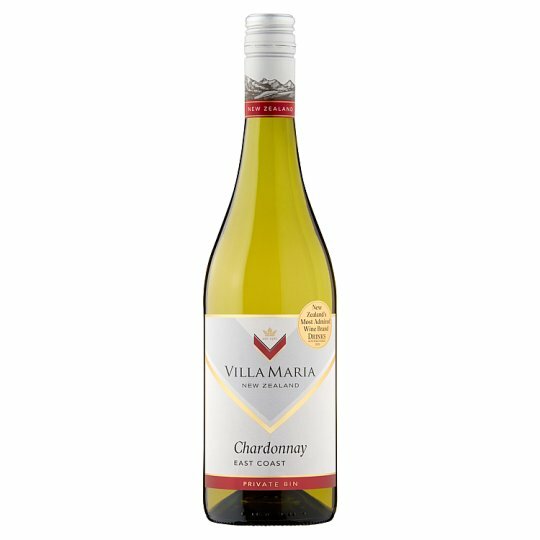 This soft, easy-drinking Chardonnay from the famous Villa Maria winery, is a very versatile wine. Villa Maria was founded in 1961 and is today regarded as one of New Zealand's leading winemakers. This family owned business has the accolade of making the most award winning wines in New Zealand. The fruit consists of parcels grown in Gisborne, Hawkes Bay and a small portion from Marlborough. This inter-regional blend produces a wine that has the full spectrum of Chardonnay flavours. Cool fermentation ensured that the fresh aromas and flavours were retained. The wine is matured on lees to provide complexity, with approximately 25% being matured in oak barriques to provide further weight and texture to the palate. Cool fermentation ensured that the fresh aromas and flavours were retained. The wine is matured on lees to provide complexity, with approximately 25% being matured in oak barriques to provide further weight and texture to the palate. The fruit consists of parcels grown in Gisborne, Hawkes Bay and a small portion from Marlborough. This inter-regional blend produces a wine that has the full spectrum of Chardonnay flavours. Excellent when served chilled on its own, or accompanying dishes such as chicken Caesar salad, cold salami and ham, or fish pie.